Implement successful and cost-effective enterprise architecture projects. This book provides a new approach to developing enterprise architecture based on the idea of emergent behaviors―where instead of micromanaging system implementation, the enterprise architecture effort establishes clear goals and leaves the details to the implementation teams. 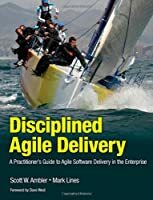 System development efforts are measured based on their contribution to achieving business goals instead of implementing specific (possibly outdated) requirements.